The upcoming science fiction and fantasy convention, Ad Astra, has lots of programming for writers in addition to appearances by many authors. The convention happens April 5, 6 & 7 at the Markham Holiday Inn, a mere hour and a half from Kawartha Lakes. – Is the Stand Alone Novel an Endangered Species? – Hey, Come Back Here! – How Do You Know Its Done? Look for authors such as: Jim Butcher, Kelley Armstrong, Robert J. Sawyer, Guy Gavriel Kay, Dennis Lee, and many, many more. 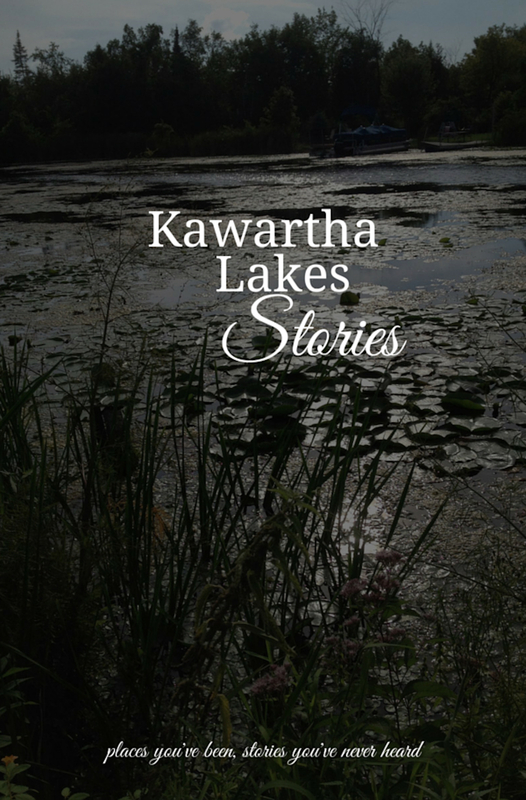 Here’s a list of the upcoming events for authors and writers in Kawartha Lakes. Click on the links for more information. The main objective is to develop and prepare stories for submission to magazines and publishers, with the goal of being published. Writing can be from a wide variety of speculative genres including traditional fantasy, urban fantasy, science fiction, paranormal, horror, magic realism, etc. Stories can be for either the adult or YA market, both novel chapters and short stories. Members will submit material ahead of time for the rest of the group to review, with the actual critique done at the meeting. Also discussion about books, writing issues and problems, and the publishing industry. Meetings are held every second Thursday from 7:00 – 9:30pm. For more information, visit this Kijiji ad. Each year the Lakefield Literary Festival awards six teen writers for their work in fiction, non-fiction and poetry. Winners will receive $100 and see their work published in The Peterborough Examiner and online in the Young Writers Contest Ebook. 1. Writers can enter through their schools or by mailing in their entry on their own. 2. There are two divisions: Junior (Grades 9, 10) and Senior (Grades 11, 12). 3. Genres are fiction prose, non-fiction prose and poetry. Writers are free to choose their topic and subject. Literary critiques and journalism assignments are not accepted. Writers can enter only one piece in each category. 4. Entries must be entirely original and suitable for copywright. Avoid using trade names in the piece. Quotations and paraphrases must be attributed. 5. Entries must be 500-1,000 words in length (with a few words either way acceptable). Take time to revise and review before submitting. 6. The title page must be a separate first sheet with name, grade, name of teacher, name of school, writer’s address, telephone number and whether the entry is fiction, non-fiction or poetry. Include an email address if possible. 7. Submit four copies of each entry. 8. The deadline is 6 p.m. on Friday, May 10. Entries can be handed in to teachers or mailed to Young Writers at the Lakefield Literary Festival, Box 1114, Lakefield, Ont., K0L 2H0. 9. Prizes go to best fiction, best non-fiction and best poetry, in senior and junior divisions, six prizes in all. Each winner receives $100 at an awards ceremony at the Lakefield Literary Festival on July 13. Call for Submissions: Mysterious Entity Theatre presents a call for proposals in Peterborough. We are thrilled to announce the fourth call for submissions to Playpen — our new script development program. We are currently looking for original unpublished scripts, or works-in-progress, that have not been previously produced. Scripts that have been submitted to previous Playpen calls are not eligible. Writers must have a STRONG connection to our region. Please specify your local connection in a cover letter to be included with your submission. We are looking for work that expresses or explores marginalized voices and stories. Past original work developed by Mysterious Entity has tackled issues such as mental health, sexuality, gender and race. We are committed to presenting work with an inherent political and social conscience. If you think that your work fits our mandate, this is an opportunity to have one of Peterborough’s leading professional theatre companies contribute to the exploration and further development of your script. One submission per artist please. For more information and to submit work that has never been produced or published, please send a synopsis along with a cover letter and your resume with a script sample (20 page max) to m.entity@gmail.com. Creative Writing: Carpe Diem Cafe presents Creative Writing for Poetry every Wednesday from 7 – 9 p.m. at Carpe Diem Cafe (552 Armour Rd., Peterborough, K9H 1Z1). Come join Jessica Biggar every Wednesday evening for fun creative writing exercises for poetry. Everyone welcome, no experience necessary, just imagination. No charge. Come find your buried inner Poet. Cost: Free. For more information call 705-740-2239. Workshop: Ann Douglas presents “Get That Book Out of Your Head: A Workshop for Authors-to-Be” in Peterborough. Get that book out of your head and on its way to publication by working one-on-one with published author Ann Douglas via email, private message board, Skype, telephone, and/or in-person sessions (whichever options seem like the best fit for you). Workshop commitments are renewed on a month-to-month basis, with both the instructor and the student agreeing to a workplan for the upcoming month. No ongoing commitment required: enroll for one month, two months, three months (your choice). Workshop fee is $299 per month plus applicable taxes. Thursday April 11 at 7 PM at the Bobcaygeon Library, meet Jean Booker, the author of several children’s books and short stories for both children and adults. Ms. Booker’s newest title STILL AT WAR is set in post-war England, as seen through the eyes of a teenage girl named Ellen. Jean Booker was born and educated in the north of England. She came to Canada after a ten-year correspondence with a pen-pal in Montreal. She lived in Montreal for a year, then came to Toronto where she met and married Neil. She now has two daughters and two grandchildren. She had various office jobs to support her writing habit and graduated from Glendon College, York University, with a degree in English in 1993. She has written many articles and stories for children and is a longtime member of CANSCAIP. Ellen’s Secret. Toronto: Scholastic Canada, 1995. Mystery House. Toronto: Ginn, 1988; Toronto: Stoddart, 1987. Shortlisted, Geoffrey Bilson Award for Historical Fiction for Young People for Ellen’s Secret, 1995. The Local Author Series is a series of presentations by the City of Kawartha Lakes Public Library in which local authors have an opportunity to share their writing experiences and books with readers. For more information or if you are interested in taking part in the Spring Local Author Series, please contact Diane Lansdell at 705-324-9411 xt 1265. Stop by the Lindsay Library and check out the excellent selection of books for resale. Funds raised support special projects of the Lindsay Library such as the restoration of archival material, purchasing AV material, children’s programming material and sponsoring the Writers’ Contest.